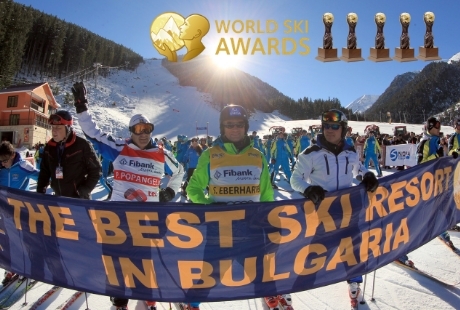 Bansko has once again been named "Bulgaria’s Best Ski Resort" at the 2018 World Ski Awards held on November 18th in Kitzbühel, Austria. This marks the fifth consecutive time that Bansko has won the prestigious award since the World Ski Awards were first launched back in 2013. Furthermore, a Balkan Holidays customer favourite, the 5* Kempinski Hotel Grand Arena in Bansko took home the "Bulgaria’s Best Ski Hotel" award, making it a good night for the resort. Launched in 2013, the World Ski Awards was created to drive up standards within the ski tourism industry by rewarding organisations that are leaders in their field, according to its website. Votes are cast by professionals working within the ski industry – senior executives, travel buyers, tour operators, agents, media and by the skiing public. Votes are submitted online at the World Ski Awards website. You can enjoy a holiday to the award winning Bansko resort with Balkan Holidays this winter and experience first hand the superb facilities and slopes the resort has to offer with just £70pp deposit.